Welcome Home to Cathedral Commons | Apartments for Rent in D.C. Welcome to Cathedral Commons. At Cathedral Commons you can experience the true value of fine apartment living. Located in historic northwest Washington, D.C. near Idaho Avenue and the George Washington Parkway, Cathedral Commons offers stylish living in an unparalleled community in the Washington, D.C. area. Its perfect location nestled in peaceful northwest D.C. means that residents can unwind away from the bustle of the city while still having all the culture, history, shopping, dining, and entertainment of the city at their fingertips. Though, Cathedral Commons residents looking to go shopping won’t have to go far! There are plenty of on-site retail options, including convenient access to CVS and Giant Food as well as Starbucks, Wylie Waggs, and even dining options like Barcelona Wine Bar. Cathedral Commons offers floor plan selections suitable for everyone. From open concept styled ‘Flats’ to the Lofts, which feature Kaindl Heritage flooring and outdoor terraces, to the graciously sized Townhomes–leasing in 2015. All homes are thoughtfully designed with Energy Star appliances, airy layouts, and stylish designer finishes. And your pets are welcome too! The style does not stop at your doorway either–the entire community has been carefully designed and detailed with your lifestyle in mind. Rooftop terraces offer stunning views of the National Cathedral, or you can unwind in resident lounge areas, like the club room or library. The community also features a state-of-the-art fitness center. 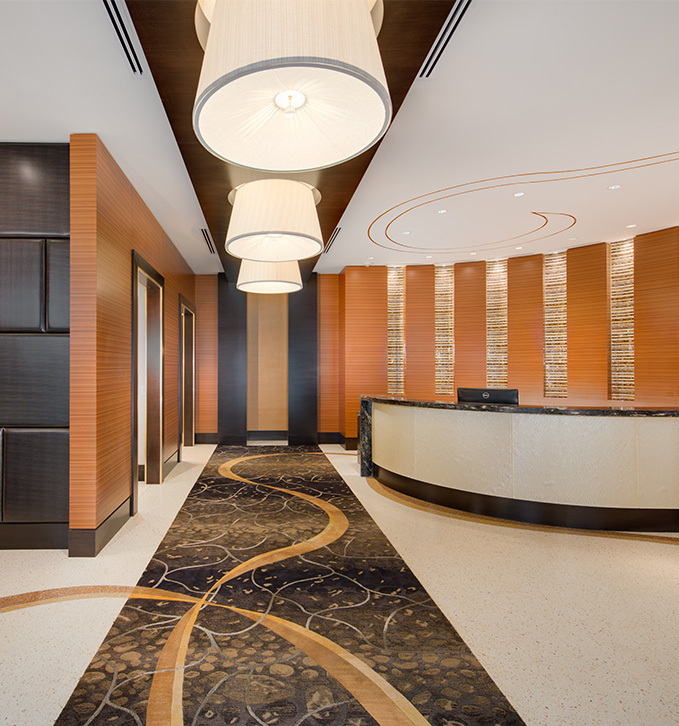 Cathedral Commons’ exceptional features also come with the unparalleled Bozzuto experience. At Bozzuto, we want to show you the true value of luxury community living. Some of our exceptional services include a 24/7 concierge, resident advantage cards good for discounts at Cathedral Commons retail, package retrieval, 24-hour emergency maintenance, valet dry cleaning and laundry services, secured entry, and more. At Cathedral Commons, you can live with peace of mind. Leasing begins in October 2014.